February was a bit slower month as far as the intraday trades are concerned. There weren’t many clear trading opportunities that I would like to trade. In a situation like this, I rather not force trades than have trades I don’t really like. On the other hand, there were quite a lot of swing trades this month. Also, some of the trades I held quite a long time finally made it to their profit targets. Let’s now have a look at the individual trades and the statistics which is based on the trading levels I publish in my daily levels table and swing levels table. To start let’s cover the intraday trades and then I will go into the swing trades. These monthly recaps should give you a sample of what to expect. 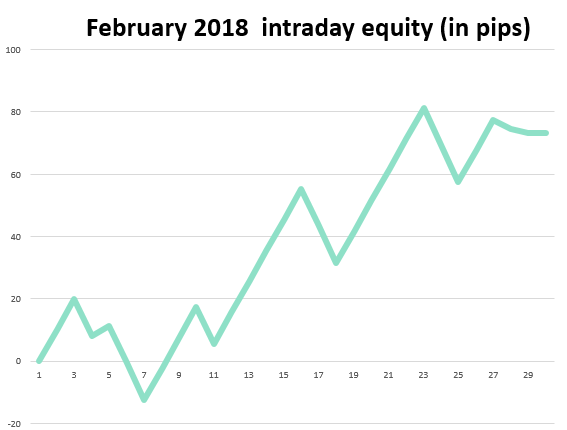 There were 28 intraday trades in February which is a bit below the average. The reason is that there just weren’t that many viable levels that I would like to trade. It is usually better to be patient and take only the trades worth taking.Out of the 28 trades, 17 were winners, 8 were losers and 3 ended around break even. The total result was a profit of +73,4 pips. Of course, you also need to take into account the costs of trading. Those are different for everybody. 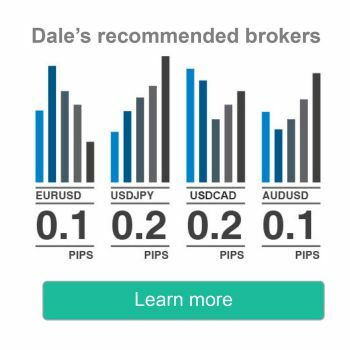 For example with my broker (IC Markets), I pay approximately $7 commission per 1 lot per round-turn. So basically, if you trade with 1 lot, you pay $7 per trade. If you trade with 0,1 lot then you pay $0.7 per trade. If you trade with 10 lot positions, then you pay $70 per trade, etc… My spreads are usually 0.0 or very close to this number. Below is a table of all the trades along with the exact values. You can go through the trades yourself and see how the price reacted to my levels. If you are familiar with the trading setups I use, then you should also be able to identify which setup I used for each of my trading levels. *Results were generated using a Simulated Trading Account and are Hypothetical. If you look closer at the table you can see that there were 5 trades executed during the Asian session. 4 winners, one loser. I take Asian session trades with simple limit orders, which proves to be a really nice and profitable way to trade this calm session. If there is a losing trade and the price just shoots past my trading level without any notable reaction, then I wait for a pullback to the same level and enter a reversal position from there. I took 5 such trades in February. All were full winners, except for one that I quit early with just +3.4 pips profit because of unexpected speech of ECB president Draghi. 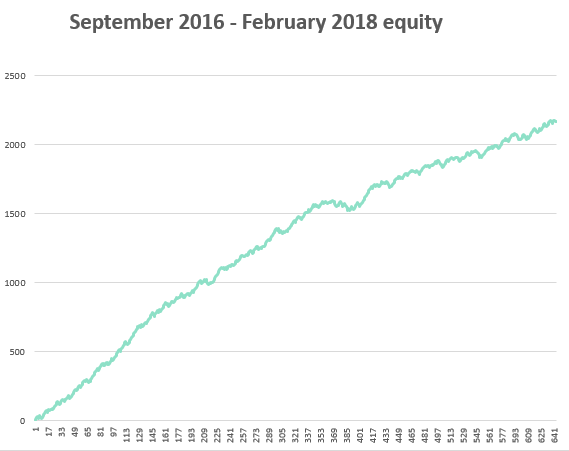 There were 8 swing trades in February which is a bit above the average. Since I didn’t have as many intraday trades, as usual, having more swing trades was a nice compensation. In fact, there were 10 swing trade opportunities in February. However, one trading level got hit with a strong macroeconomic news (RBA rate decision), the other one missed the entry by just 4 pips so I had to discard it. So there were total 8 viable trades. 6 winners and only 2 losers. 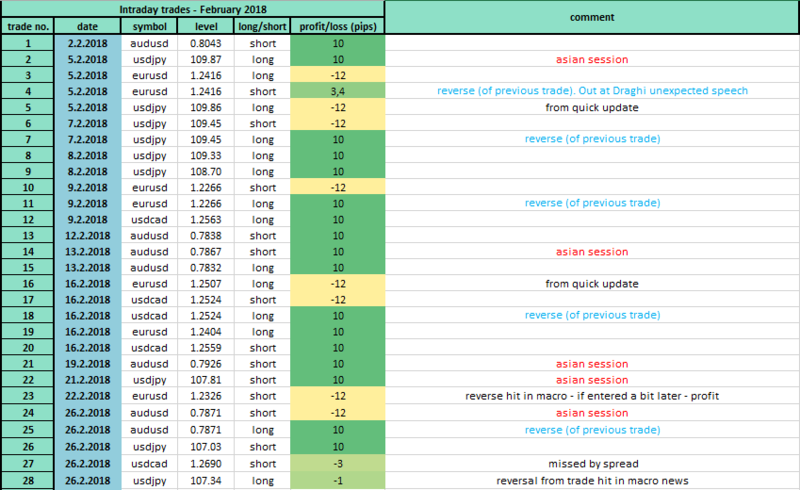 Below is a table with all the swing trades along with the exact values. This way you can check the charts yourself and see how the levels I published worked out. *This statistics is based on someone taking all the trades using my swing trade rules and applying alternative position management method (which I personally use in my swing trading). At the beginning of February, I published a video where I showed you how to build a cryptocurrency portfolio and I also showed you key trading levels on Bitcoin, Ripple, and Ethereum. I also published an article where I wrote about a long-term trading opportunity to short the EUR/USD. I am now in an open position with +162 pips open profit. I am aiming for much more, this is just a beginning of a long-term short trade that I am holding. You can see the reasoning behind this trade in my article here: EUR/USD: long-term trading scenarios. I am currently working on a new Volume Profile webinar. The webinar will be brought to you by NinjaTrader company in the second half of April 2018. It will be mostly about Volume Profile and the ways to use it for profitable trading. If you have any ideas or requests on what would you like to see in the webinar, don’t hesitate to shoot me an email! I am looking forward to meeting you there guys! You will get more information about how to attend the webinar later via email.